The scant amounts of rain and snow that finally infiltrated Northern California this week will put barely a dent in the ongoing drought. 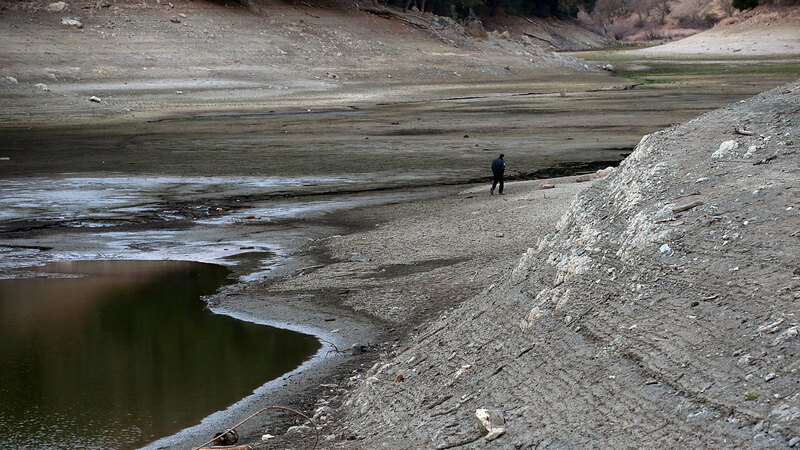 Now, 17 communities in California are at risk of running out of water within one to four months, according to the California Department of Public Health. "These little districts with the small number of ratepayers don't have a safety net," Rogers told The California Report's Scott Shafer. "Many of them were vulnerable to begin with." Unlike big urban water agencies such as the San Francisco Public Utilities Commission, Santa Clara Valley Water District and East Bay Municipal Utility District, smaller water districts don't have the resources to build new reservoirs and manage water conservation programs. And so while some of the large districts with water banked in big reservoirs are asking for voluntary cutbacks -- 10 percent in San Francisco and the Peninsula, for instance, and 20 percent in Alameda County -- Rogers said these 17 small districts will be looking at more drastic solutions: new pipelines, trucking in water, drilling new wells or bringing in mobile desalination plants. 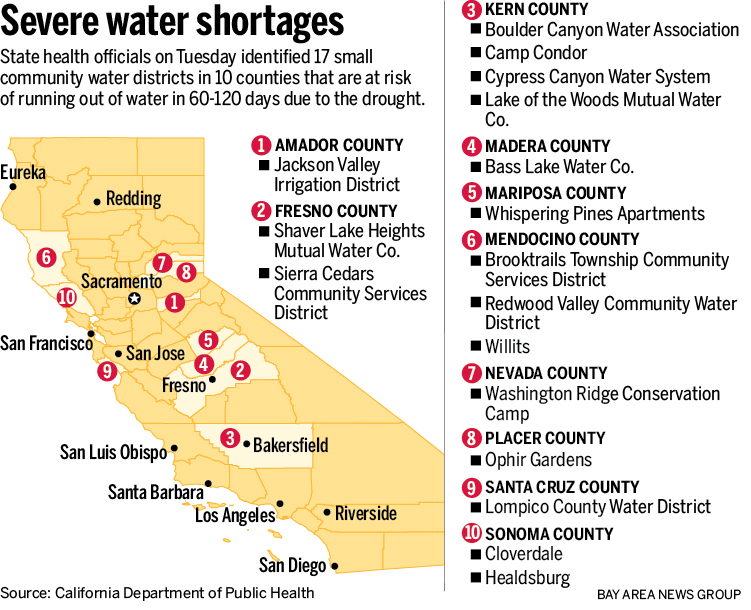 As the drought drags on, they may not be the only ones. "I expect if the drought continues, we will see more small areas getting in trouble and needing help," Rogers said. "When we talk about who's going to suffer the most, it's small, rural communities without money and it's farmers and ranchers who need the water the most for their economics." While we may get, oh, another tenth of an inch or so of rain in today's weather system, the National Weather Service is forecasting more dry weather on the horizon.